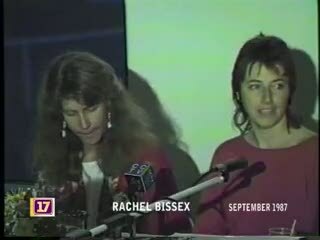 The Vermont Women's Health Center Oral History Project Presented at the Vermont Women’s Health Center’s Fifteenth Anniversary Celebration Quarry Hill Club, South Burlington, Vermont, September 1987. In the mid-1980s, one of the original collective members, Sue Burton, interviewed thirty VWHC founders and staff. From those interviews, Burton pieced together a collage of quotes that tell the story of the health center’s first fifteen years. Four performers, each reading multiple voices, presented the oral history: Roz Payne, one of the VWHC’s founders, Liza Little, a staff member from 1978-1984, Rachel Bissex, a Burlington folk singer/songwriter, and Sue Burton, a staff member from 1972-1982. Remarks by Governor Madeleine Kunin.